This is in the latest trend of eyewear as it is not only functional but also fashionable. These are joined together by a nose bridge and the temples thus it is also known as frameless glasses. Being lightweight, comfortable, and elegant, they are the choice of everybody. 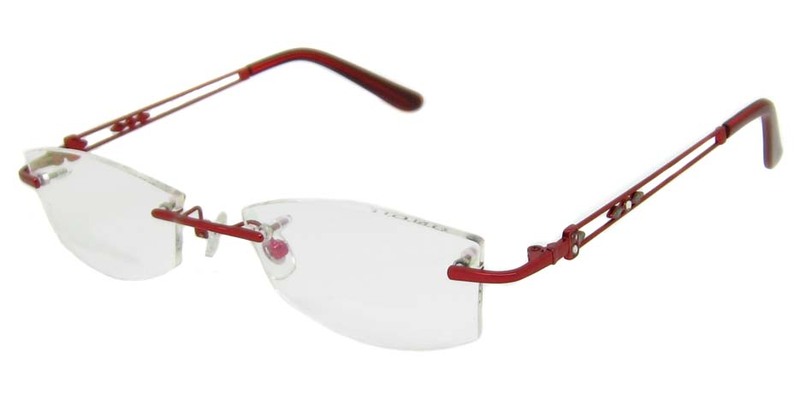 Rimless eye glasses viewed as the latest trend; the cutting edge vogue of the present day eyewear. They are exceptionally fashionable yet functional and provide you with the best fit especially if you want your frames to go unnoticed and the emphasis to remain on your face.They were originally introduced to the world as a rimless monocle in the nineteenth century by an Austrian inventor named J.F Voigtlander. His rimless designed eyewear was precisely the same type commonly associated with The Penguin character, an arch enemy to the Batman. Over time, the rimless monocle evolved and took the shapeof what we now know today as the Rimless Eyeglasses. Otherwise called frameless eyeglasses, rimless glasses are usually joined together by a nose bridge and the temples fixed specifically to the lenses. 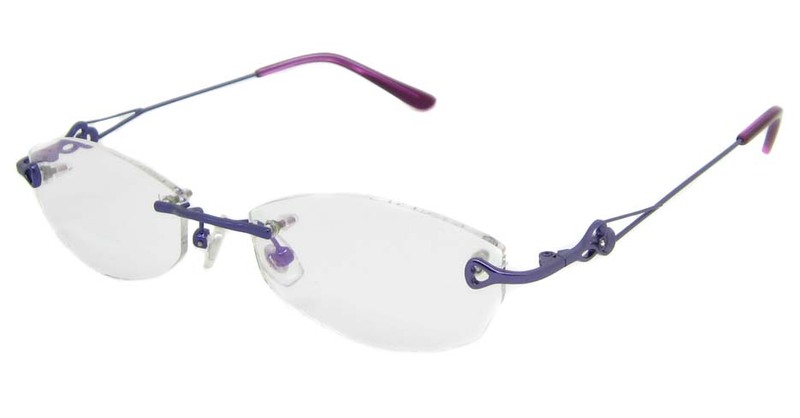 Most rimless frames measure significantly less than a full rimmed frame because of its having less material, and furthermore incorporate the advantage of giving better visibility because of less impediment from a thick acetate frame. From a fashion point of view, rimless frames give an exceptionally minimalistic and delicate look with wearers feeling more confident of themselves as a result. Accessible in various styles, colors,and shapes, rimless glasses for women and rimless glasses for men are certainly a symbol of functional and stylistic eyewear for the modern man. These broadly well-known frameless eyeglasses are also very versatile to the point that they can run with any type of style or design possible. From elegant and simple to popular, you are assured of finding the specific rimless eye glasses that match your style. Light weight and comfortable, rimless prescription glasses are the best because they are scarcely conspicuous on the face. For those of you who truly disdain to have to select new frames every now and then, since you can't choose what looks great on you, we suggest that you run with rimless glasses. Eyeglass trends can change quicker than the seasons do, but with rimless glasses, you'll never need to stress over your glasses being out of style or conflicting with the all the more absurdly colored items in your closet. Some people never become accustomed to wearing glasses with frames. They're very overwhelming, they don't care about whining with the way they look, they have to endure constantly seeing the foggy frame outline encompassing their field of vision, and they never seem to discover a frame that they believe would look alluring on their face. With rimless glasses, you don't need to stress over any of that. Go confirm from a wearer of rimless glasses what they cherish most about them and they'll without a doubt say, "I don't even know I'm wearing them!" That's how good these glasses can feel. They are the most lightweight, inconspicuous bits of eyewear you'll ever have on your face. Additionally, a rimless glass is exempt from the prominent appearance that we normally relate with eyewear. It is as a direct result of this critical element that numerous individuals, who had earlier reasoned that wearing prescription glasses would makethem look old and bland, now wear rimless glasses with confidence. It has turned into an accessoryof the sortthat showcases itself as a style statement formany. 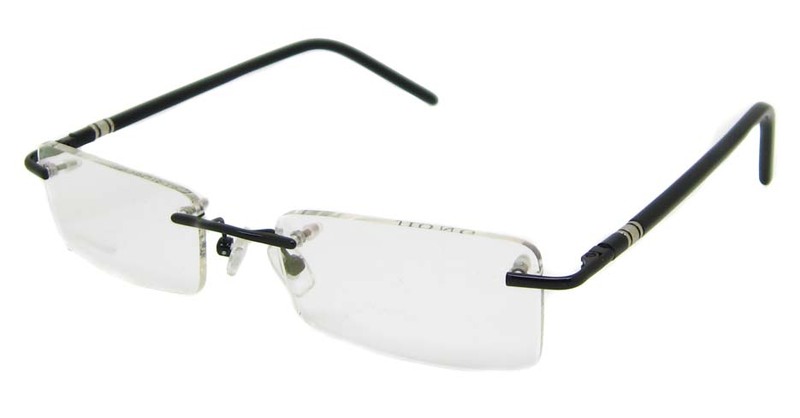 The sensitive, sophisticated appearance of rimless eyewear influences numerous individuals to assume that they must be worn by individuals who require minor vision adjustments. 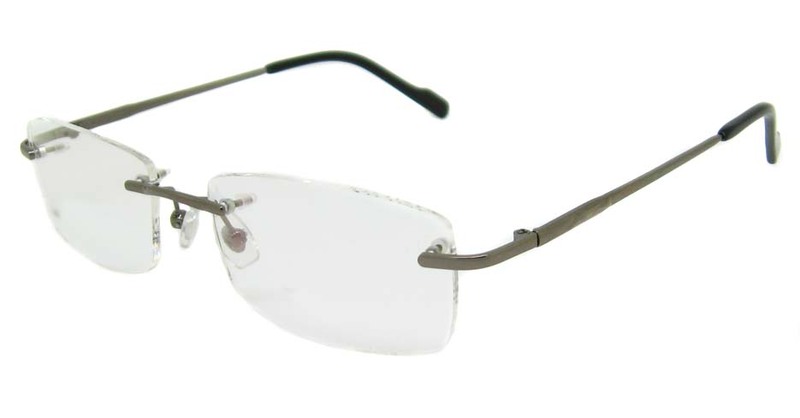 In any case, as a general rule, a rimless eyeglass is suitable for all and sundry. Indeed, even those, who have solid prescriptions, can go for rimless glasses in a lens shape that they lean toward. When shopping for rimless glasses for women or rimless glasses for men, a few people have developed a common observation that the eyewear is delicate, and should be taken care of with extraordinary care. You can't blame them, such is the impression anticipated with the frameless look. In any case, these eyeglasses do have greatly expansive makeup, particularly in the event that you are purchasing a pair of rimless glasses that has polycarbonate lenses, supplied by a trustworthy retailer. These glasses are usually accompanied by predominantly scratch free qualities and furthermore have strengthened impact restriction. Here at Amycoz, our most delicate frames come in titanium and metal materials, a variety of colors ,gold rimless,grey rimless,black rimless, and numerous shapes. We are happy to recommend these ultra-lightweight frames for those individuals who don't expect too many falls and tumbles for their frames. These glasses may likewise be an incredible choice for those hoping to keep extra specs at their workplace for PC or perusing vision. Also, note that due to the minimalistic nature of these frames, more slender lenses might be required for prescriptions of high-power. 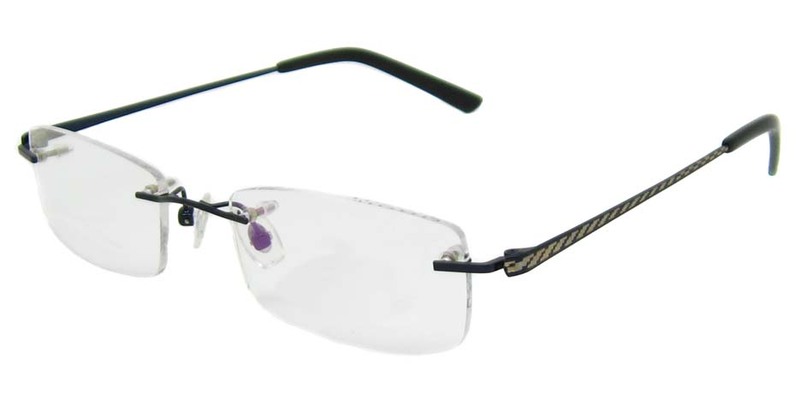 While these eyeglasses are really straight forward from the front, there are a variety of alternatives to modify your new rimless prescription eyeglasses with either an arrangement of little arms for an oversimplified and serene look or incorporate an in-vogue flare with a pair of chunky arms with a sharp design. This flexibility is one of the numerous awesome highlights of frameless eyeglasses. The magnificence and effortlessness clustered up in this elegant eyewear are unlike any other – the sum total of what you have are lenses and two, thin temple pieces to keep your lenses directly facing your eyes. What more would you be able to request? With delicate modernity and all-day light weight wear, our choice of rimless glasses addresses the issues of the most specific of onlookers. Some of the regular types of rimless glasses available include the Three-piece rimless eyeglasses which are a sort of rimless glasses that have their lenses appended to the extension and every sanctuary arm. Also is the Cortlands, or rimways, which offer improved soundness for lenses and have a supporting curve interfacing the bridge to the temples. Worn by both men and women since the nineteenth century, rimless glasses never truly fell out of fashion and that’s in view of their ageless appearance and capacity to adjust to rapidly changing frame style patterns. With the advancement of lightweight polycarbonate lenses and titanium frames rimless glasses, three-piece eyeglasses are at present one of the 21st century's most mainstream rimless frame styles.